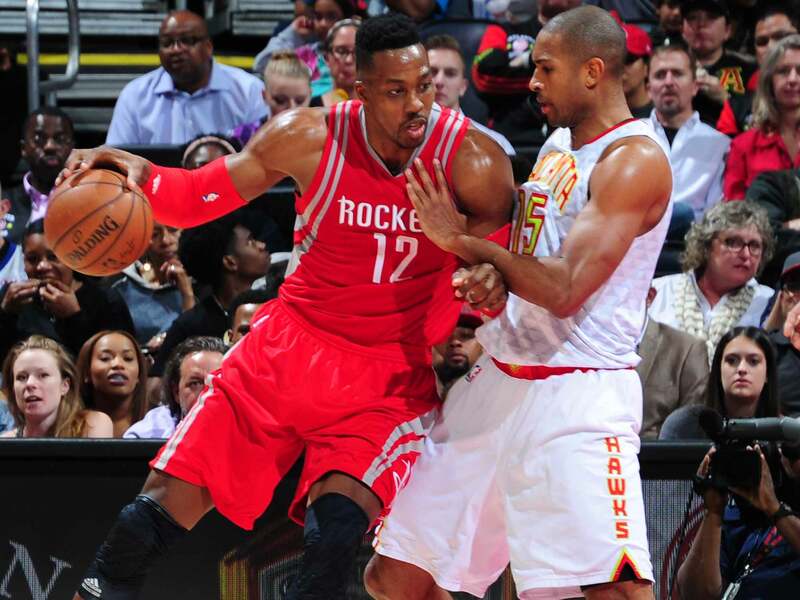 Can Dwight Howard and the pass-happy Hawks meet in the middle? Dwight Howard's previous teams have catered to the center's needs, but the pass-happy Hawks represent a huge contrast in style. Throughout his NBA career, Dwight Howard has never really been asked to be anything other than himself. The vast majority of his coaches seemed to understand the core of his game well: the gravity of his rolls to the rim and the power of his very presence. Any disconnect, when it did arise, came about from Howard's own bristling at the confines of his role. A career's worth of criticism had told him that to dominate as a big is to dominate in the post. Howard made that space such a priority that it worked to his detriment. Most of Howard's teams have inevitably fed him on the block for deliberate, sunk-cost possessions. This summer he joined the outfit least likely to indulge him. Mike Budenholzer and the Atlanta Hawks aren't beyond compromising their pass-happy style for a superstar, but those compromises only go so far. The post is an area of inherent inefficiency—especially for an aging, oft-injured Howard. Atlanta has deliberately kept its offense out of that muck whenever possible, opting instead to keep the ball buzzing from one side of the court to the other through the best spacing its rotation can manage. Only four teams in the league used fewer possessions in the post last season, per Synergy Sports. At least one of these parties must bend. More likely is that both do, meeting in the middle in a space where a three-year, $70.5 million contract makes sense for all involved. No matter the specifics, everything that we know about Atlanta's offensive construction suggests that Howard will be featured this coming year in fundamentally different ways. The pick-and-roll has been less a centerpiece for the Hawks than a starting point; its functions feed into the kind of movement and flow Budenholzer is looking for, though part of its intention lies in creating small advantages to leverage into larger ones. Built into that is the need for bigs to do more than merely pick, roll, or even post. Al Horford and Paul Millsap established their value to the system through pliability. If a possession called for them hoisting up a three-pointer, they did. If one demanded they pause for a moment to read the weak side's development, they did. Now that Howard has assumed Horford's spot, those precise responsibilities must change (Howard masquerading as Horford would be a disaster) but the underlying philosophy remains intact: Howard will have to find ways to be comfortable and effective beyond the more direct opportunities he's accustomed to. How often might Howard be used in high-post hand-offs? Where are the limits imposed on Howard's face-up jumper—a shot he could make earlier in his career but shelved away? Could we see Dwight make moves off a few dribbles—ill-advised as that might seem? How creative the Hawks aim to get with Howard's involvement is one of the great, looming questions of the 2016-17 seasons in part for how it might recontextualize one of the league's established stars. Howard could very well live off of the things that have made him successful in the past. Atlanta presents an opportunity, though, for a new sort of usage. Between the binary of the pick-and-roll and the post lies a world of basketball opportunity. Howard might finally explore it, even if that very idea is a bit at odds with his skill set. There's valid reason, after all, why Howard has never been entrusted to the kind of role that Horford filled previously. The two aren't in the same league as shooters or passers, not to mention the fact that Howard is prone to all manner of turnovers. His limited skill set does not conjure ideas for expansion; even when Howard was one of the two or three best players in the league, much of his value was derived from defense, rebounding, and the threat of one of the most dangerous finishers in the league getting the ball near the rim. That player has faded, though a fine one still remains when healthy and invested. Both variables demand planning and consistent attention. Atlanta is as mindful of capping players' minute totals as any team in the league and will be well-positioned to moderate Howard's playing time if Tiago Splitter is indeed ready for the start of training camp. Moving forward, Howard may be the player best positioned to benefit from the Hawks' newly cemented relationship with P3—a performance assessment company that specializes in measuring (and improving) biomechanics. Any productive change in the way Howard moves could produce a meaningful benefit in terms of his availability. "I'm always interested in winning, but sometimes as a big you want to feel a part of what's going on. If I could bring the ball up the court and shoot threes, go between the legs and all that stuff then that'd be great—but I have to rely on my teammates in certain aspects to get the ball. Now, there are times where I have been upset and I've taken myself out of games in situations—and that's on me—and I have to grow and be a better player. " Last season, Howard posted his lowest usage rate since his rookie season and averaged 8.5 field goal attempts per game for one of the faster-paced teams in the league. The bar is low. It will be interesting to see, however, if Howard would feel engaged were he consistently involved but still not often asked to create. Every player decides for himself what it means to be a part of something. For some it's enough to just play. For others it's nice to feel the ball in their hands, even as a middleman in a longer action. For plenty of pros, shots and dribbles and time in possession still mean everything—a sense of control as affirmation. Howard's issues with the Rockets went well beyond not getting the post-ups he might have wanted; relationships there were strained to the point that one perceived slight would build on another. Even well-intentioned plays can be taken for offense with enough of a backdrop. Howard showed it with his facial expressions, his effort level, his body language, and eventually his words. It's clear he wanted more. The Hawks will soon find out just how much, all while sussing out what choices and concessions might appease him.